Ancient sounds, traditional handicraft, and a long-standing reindeer culture meet new technology and a modern way of life. Here are eight fascinating facts about the Sami – the indigenous people of Norway. The total population of Sami in Norway, Sweden, Finland and Russia is estimated to approximately 80,000, and about half of them live in Norway. The vast majority of settlements are located in Northern Norway, primarily the county of Finnmark. There are, however, Sami communities as far south as Trøndelag as well. Traditionally, the Sami people live in areas called Sapmi but many have now moved to towns in Northern Norway or the Oslo region. Even though the Sami people keep their traditions alive, no Sami live a completely traditional life today. If you visit Northern Norway, however, you can experience the Sami way of life. Go dog sledding, camp in a traditional lavvo (Sami tent) under the northern lights, or get a close encounter with their reindeers. Homestays are also offered. Attending a Sami festival is a good (and fun!) place to start if you want to learn more about the culture and traditions. Each July, the Riddu Riđđu festival in Manndalen in Troms attracts artists and festival fans from all over the world. With concerts under the midnight sun, a wide range of activities, and unique food experiences, Riddu Riđđu is definitely a festival out of the ordinary. The Sami Week in Tromsø celebrates everything Sami in conjunction with their national day on 6 February. Try your hand at reindeer racing, learn to joik, or enjoy concerts, talks and generous portions of the traditional dish bidos. And don’t miss the national championship in lasso throwing that takes place at the market square! 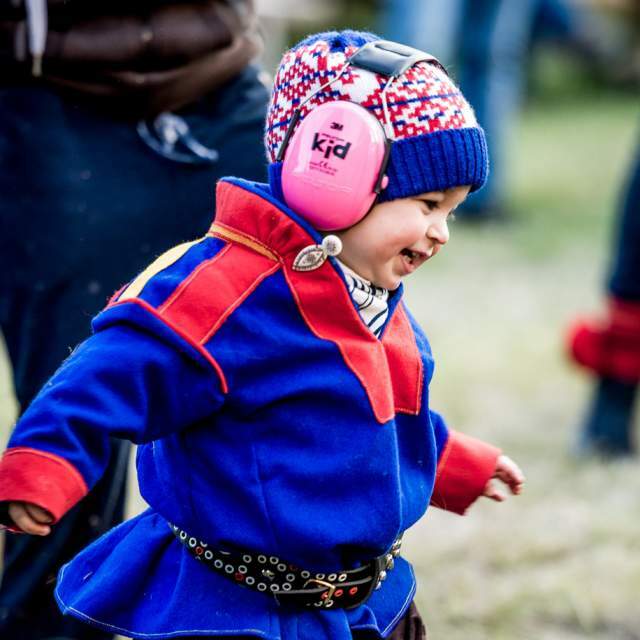 Attracting families and people of all ages, the Sami Easter Festival in Kautokeino has become a focal point of their culture. The program is filled with concerts and exhibitions, as well as fun activities like scooter cross and reindeer racing. Other festivals you should check out are the Sami Music Week in Alta, Tana Winter Festival, and Festival Skábma in Lebesby. 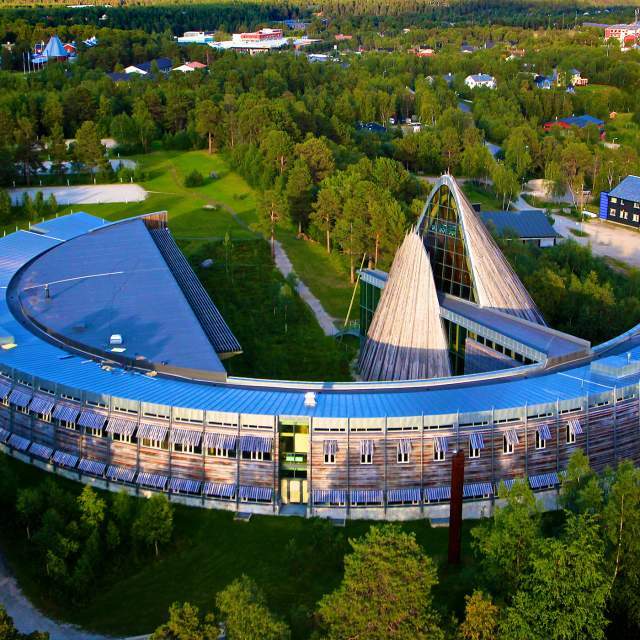 In 1989, the Sami Parliament was opened after numerous protests in the 1970s and 1980s against the construction of a hydroelectric power plant in the Altaelva river in Northern Norway, known as the “Alta controversy”. Since then, the Norwegian Sami have been able to elect representatives to a parliament that solely focus on Sami issues. The eye-catching piece of architecture located in Karasjok in Finnmark (known as the Sami capital) is shaped as a lavvo – a Sami tent – which has always been a symbol of their nomadic culture. Visitors are welcome to participate in guided tours of the parliament building (Monday–Friday), given in Sami, Norwegian, and English. Of the nine different Sami languages in the world, five are in use in Norway. The three most common are Northern Sami, Lule Sami, and Southern Sami. Pite Sami and East Sami are currently going through a revitalisation phase in Norway. Neither of the languages are similar, nor related to the Norwegian language – or any other Scandinavian language for that matter. During large parts of the 1900s, the Sami in Norway were forbidden to speak their own language and had to learn Norwegian under strict assimilation policies. As a result, slightly less than half of the Sami in Norway speak a Sami language today. For this, the Sami people got an official apology from the Norwegian government in 1999. From Finnmark in the north to Trøndelag in the central part of Norway, you can experience the Sami way of life. Try your hand at dog sledging, camp in a traditional lavvo (Sami tent), and sample traditional Sami cuisine such as bidos (thick reindeer stew) and lefse (potato flatbread). 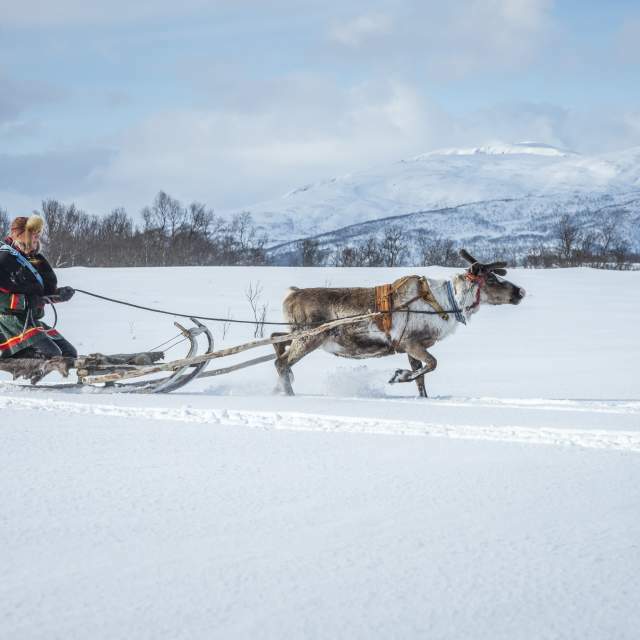 In Northern Norway, you can spend a day with a reindeer herder family and get a close encounter with their flock. 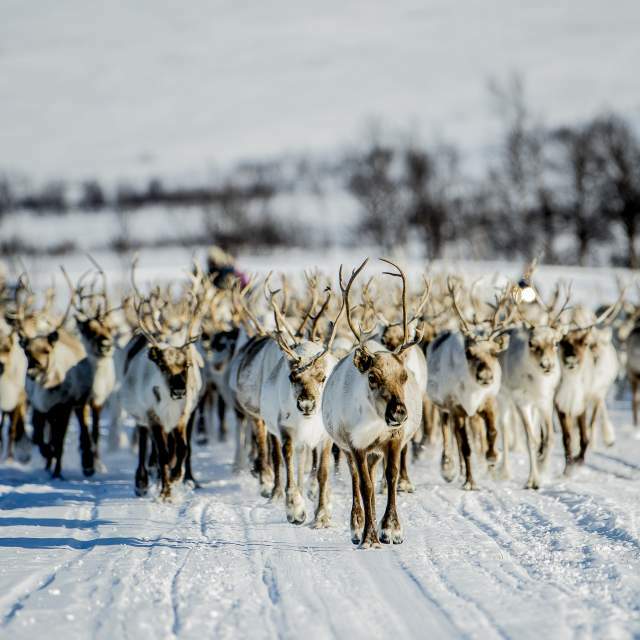 In April and May, you can even experience the annual reindeer migration. Throughout the year several Sami festivals offer concerts, exhibitions, and fun activities such as reindeer racing and lasso throwing. The Sami national museum in Karasjok, Varanger Sami Museum and the Norwegian Museum of Cultural History in Oslo are just a few examples of museums that offer captivating exhibitions about the Sami culture and history. A sami family in Finnmark. Joik – the folk music of the Sami – is one of Europe’s oldest song traditions. It has particular vocal characteristics and is performed as a dedication to a person, an animal, or a place. Joik is practised in many situations as part of everyday life. The survival of the joik throughout the centuries, despite pressure for acculturation and assimilation by the Norwegian government, is in itself a remarkable phenomenon. For a long time, joik was condemned as sinful, and in the 1950s, it was forbidden to use joik in Sami area schools. Fortunately, this has changed. In fact, joik has been experiencing a revitalisation in recent years. Many young artists include joik as an element in contemporary music, and it has become increasingly more popular to combine joik with various other styles such as jazz, metal, and rock. In May 2019 the Norwegian-Sami group called KEiiNO will represent Norway in the Eurovision Song Contest in Tel Aviv. KEiiNO combines pop, electronica, dance, and joik, and the song “Spirit in the sky” mixes English and Sami in pop and joik. Other Norwegian artists famous for their interpretations of joik include Mari Boine, Ann-Mari Andersen, Frode Fjellheim, Ella Marie Hætta Isaksen, Elle Márjá Eira, and Marja Mortensson. 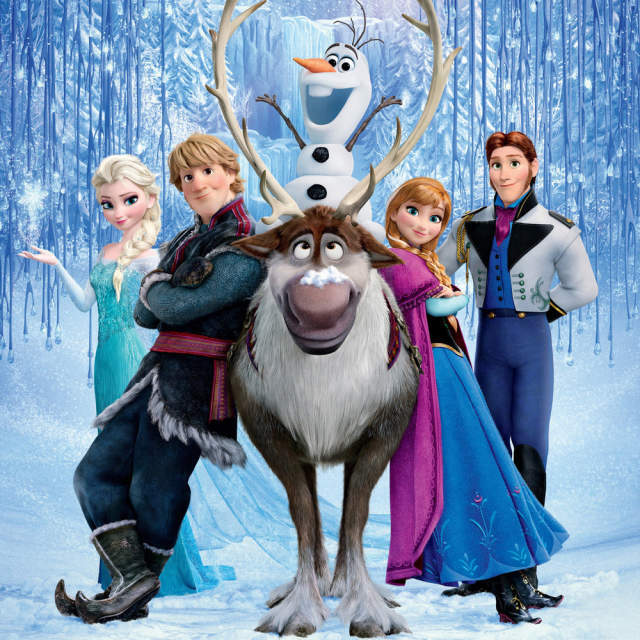 The Disney production team behind Frozen, including composer Christophe Beck, wanted to use Nordic music as inspiration for the music in the film. During a research trip to Norway in 2012, they discovered Frode Fjellheim, a musician and composer with Sami roots. Fjellheim later agreed to co-write the film’s music with Beck, and the final result “Vuelie” became the opening song. “Vuelie” is a slightly altered version of the song “Eatnemen Vuelie” (meaning Song of the Earth) which Fjellheim originally wrote in 1996. The piece features joik, which Fjellheim learned in his childhood. Fjellheim has later been celebrated for bringing joik to Hollywood. Reindeer has always been a central part of the Sami culture. There is almost no part of the reindeer that isn’t used: meat for cooking, fur and skin for clothes and shoes, and the horns are transformed into everything from useful tools to beautiful art. Norwegian reindeer husbandry is practised primarily in Northern Norway, Trøndelag, Møre og Romsdal in Fjord Norway, and Hedmark in Eastern Norway. Today, about 3,000 people are involved in Sami reindeer husbandry, 2,200 of them in Finnmark alone. Herders make a living by selling reindeer products. The meat is sold across Norway and also exported, and the skins are transformed into mittens, shoes, and other leather products. Unsurprisingly enough, reindeer is also very central in the Sami cuisine. You simply cannot visit Finnmark without tasting reindeer meat, which is a regional speciality. 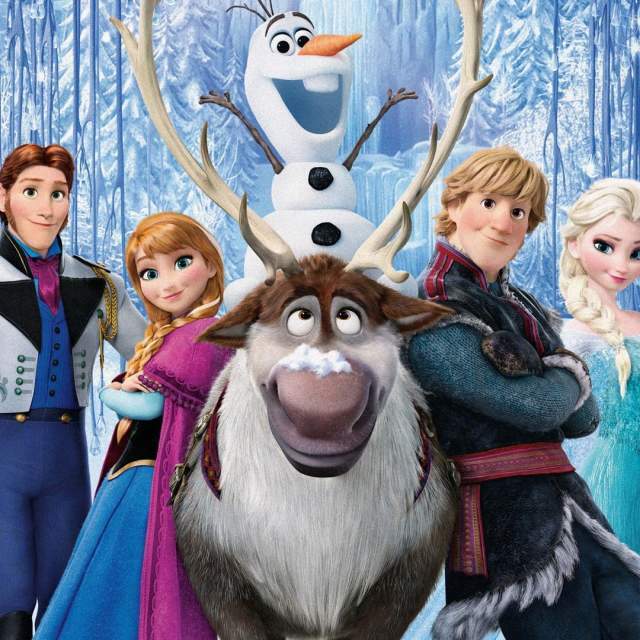 Reindeer is served in all imaginable ways, but the most famous dish is probably bidos, a stew made from carrots, potatoes, and slow-cooked reindeer meat. 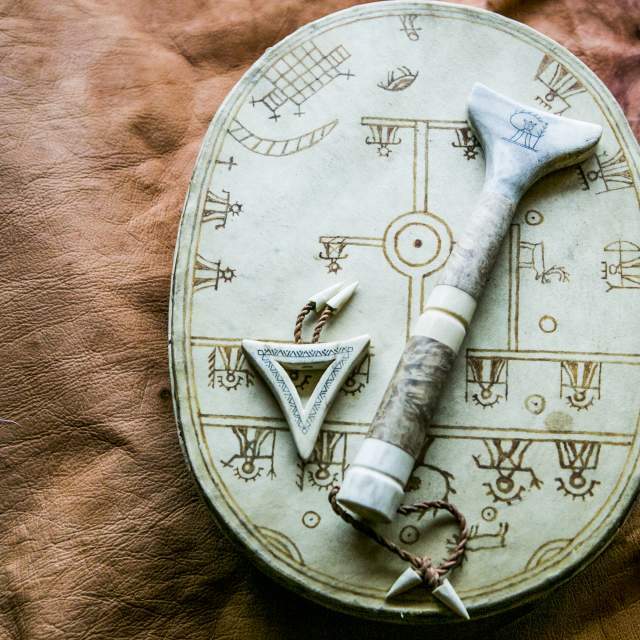 The Sami culture has many characteristic expressions, and the duodji – Sami handicraft – is one of them. Duodji tools, clothing, and accessories are functional and useful and often incorporate artistic elements. Although there have been slight changes in the traditional duodji, many traditions of craftsmanship – such as pearl embroidery, weaving shoelaces, wood carving, and knife-making – are meticulously maintained. Today, traditional duodji are considered valuable pieces of art by collectors from all over the world. , such as weddings, funerals, and other cultural events. The colours, patterns and decorations of the costume can signify a person’s geographical origin. The traditional Sami colours are red, green, blue and yellow. , such as weddings, funerals, and other cultural events. The colors, patterns and decorations of the costume can signify a person’s geographical origin. The traditional Sami colors are red, green, blue and yellow. To learn more about what’s going on in the Sami art scene today, the Sami center for contemporary art in Karasjok is definitely worth a visit. The museum aims to be a venue for exhibitions of Sami contemporary art, which ranges from new expressions to traditional duodji. 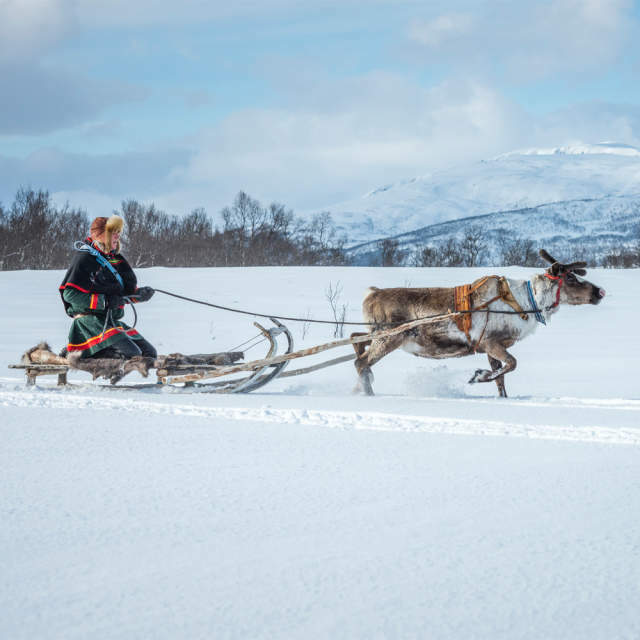 Pick up from Tromsø City Centre and drive to the Tromso Museum for a guided tour through two Sami exhibitions. Experience the Sami culture and tradition in the gamme (turf hut). Meet Sami culture, history and mythology in an engaging, informative and entertaining way.